Are you sitting comfortably? Welcome to my Workplace series of podcasts that will help you to navigate those inevitable difficult events at work that are part of being a small business owner, Manager & Leader. Today I want to talk about how to deal with a confrontational employee. Confrontational and antagonistic employees are a drain on the energy and resources that should be used to run a successful business. These types of employees range from those who are passive-aggressive to those who are basically bullies. Either way, their behaviour can cause problems with working relationships and can even lead to more serious situations such as physical violence, which, it goes without saying, can all have a huge impact on a business and its people. This is why you must deal with hostile situations sooner rather than later before they become much more serious. 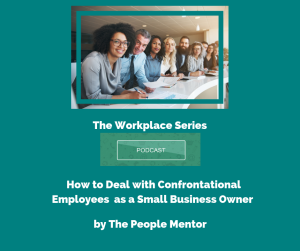 The confrontational person will likely annoy you more if the rest of your team gets on well and they always do their best for you and the business but don’t lose your composure, even though it may be tempting because there are ways to deal with a confrontational employee. There is a caveat here though, confrontational behaviour should not be tolerated, especially if it’s coupled with threats of physical violence, or the behaviour is causing you or someone else emotional harm or distress. If this is the case, you’ll have grounds to terminate an employee’s employment. You must protect yourself, your other employees, and your premises. In cases of physical threats or intimidation, always inform the police. 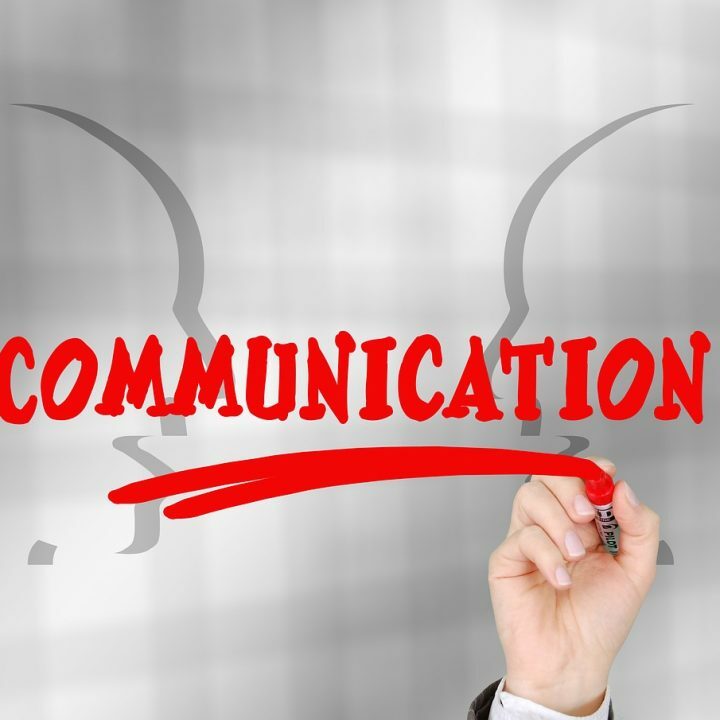 So back to the steps you can take as a business owner, firstly, let the employee know that they can speak to you about any issues they might have. If there’s an underlying reason for them being confrontational or hostile, such as frustration with a work situation, you’ll have a chance to nip it in the bud. When you do speak to them, be understanding but be firm. Explain that they need to be professional in the workplace and make sure that they understand how their behaviour is affecting you, the team, and the business. It’s a good idea to note down instances where the employee’s behaviour has been hostile, whether it’s a complaint from another employee or they’ve been openly confrontational with you. This way, when you speak to them about their behaviour, you’ll have facts and they won’t feel as if you are just coming up with accusations (which is likely to make them even more confrontational). Another good tip is to keep your feelings out of it. Even though it’s hard to deal with people who are difficult, it’s important to be objective and professional. There may be a reason for the hostility that the employee thinks is completely justifiable in his or her mind, and nothing is going to be solved if you engage in a shouting match. Next, think about how you can help in any way. Maybe the employee has underlying issues or something stressful going on in their personal life that is causing them to overreact to situations at work. Let them know that you are available to talk and suggest counselling or other sources of help if it’s appropriate. This is a better bet than losing a good employee, who even though they can be antagonistic, might add value to your business. Confrontation can’t always be avoided, but it can be managed-sometimes. If your employee refuses to work with you or other employees to improve the situation (and his or her behaviour), written and verbal warnings, eventually leading to termination of their employment may be the only solution you have left. You owe it to yourself and your other employees to create a positive, productive, and harmonious working atmosphere, so if you know that you have given a confrontational employee every chance to improve their behaviour and they’ve failed to do so, you’ll have to make a hard, but necessary choice. I hope that you got some good tips from today’s podcast, and I’ll see you next time for the next one in the series. This is The People Mentor, signing off.